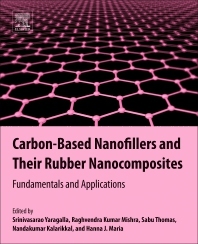 Carbon-Based Nanofillers and their Rubber Nanocomposites: Fundamentals and Applications provides the synthetic routes, characterization, structural properties and effect of nano fillers on rubber nanocomposites. The synthesis and characterization of all carbon-based fillers is discussed, along with their morphological, thermal, mechanical, dynamic mechanical, and rheological properties. The book also covers the theory, modeling, and simulation aspects of these nanocomposites and their various applications. Users will find a valuable reference source for graduates and post graduates, engineers, research scholars, polymer engineers, polymer technologists, and those working in the biomedical field.